Trey Crabb brings over 20 years of healthcare experience providing both not-for-profit and for-profit healthcare organizations in strategic advisory transactions as well as debt and equity capital raises. Prior to joining Morgan Stanley, Trey worked at both Ziegler and Merrill Lynch doing primarily not-for-profit mergers, acquisitions, and exclusive sales transactions. 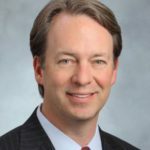 Trey began his career at Bank of America in Charlotte, where he was a founding member of the firm’s healthcare corporate finance and investment banking group. Trey is a frequent lecturer at the University of North Carolina at Chapel Hill where he was appointed to the Kenan-Flagler Business School MBA Adjunct Faculty in 2012. In addition, he has been a member of the Foundation Board of Trustees at the Gillings School of Global Health at UNC-Chapel Hill since 2006 and in 2014 he was appointed to the Board of Directors of the UNC Health Care System. Trey earned two master’s degrees from the University of North Carolina at Chapel Hill, including a master of healthcare administration at the Gillings School and a master of business administration at the Kenan-Flagler Business School. He earned his B.S. in corporate finance and investment management at the University of Alabama.